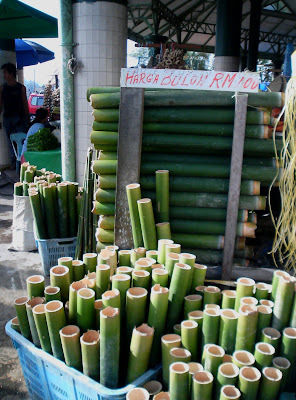 These bamboo culms( stem) are from a species of bamboo normally cut for use as cooking vessel. 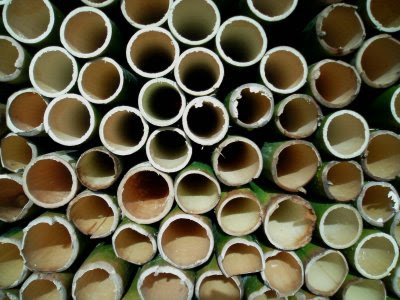 The kind of food that is stuffed inside these young bamboo stems are like glutinous rice, chicken meat or fish. At the Bintulu tamu yesterday I saw them being sold at RM 1 a piece. Bamboo is so versitile, you can do so much with it. It is a fantastic tool. It's a bit out of the blue, but would you join my Photo Challenge please?